Let your little one experience the fun of being a chef as they take a plunge in the virtual culinary world featured in some of the best Android cooking game for your smartphone or tablet. Children love playing pretend games. They would spend hours imagining that they are a doctor, teacher, a famous chef and more. Let their fantasy of being a great chef come to life in the world of virtual reality through any of the cooking game for Android smartphone and tablet. Marvel as they learn how to prepare and cook kid friendly food or manage their own restaurant and more. Next to burgers and fries, pizza is also a big hit among kids and adult alike. 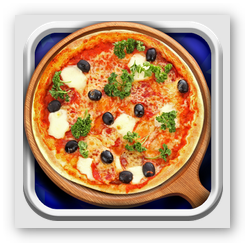 With the cooking game Pizza Maker – Cooking Game , they can create their own pizza. The game starts by choosing the pizza dough shape which includes star, heart, round and square. Then comes the fun part which is adding the pizza toppings, they can put whatever they want and they can go crazy as far as the quantity of the topping is concerned, talk about pizza overload. Lastly, they put it in the oven and it’s done. Because kids love to eat sweet foods like ice cream, chocolate, cakes, cupcakes and the likes they will surely enjoy playing Cute Cupcakes – Cooking Games . 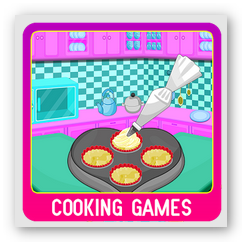 This cooking game is very easy to play and comes in a colorful user interface. It aims to introduce and develop basic baking skills by teaching them how to make a delicious looking cupcake, a favorite dessert among children of any age. From baking to decorating, this cooking game would definitely keep your little ones busy and happy. 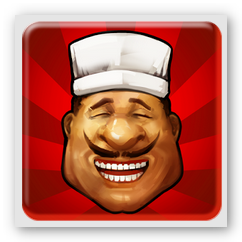 Cooking Master is another good cooking game for Android. However, younger kids may not find it really enjoyable as it requires a bit of speed in preparing mouth-watering dish which you need to serve to a number of starving and rather impatient customers. But once you get the hang of it, it could be very addicting and rewarding whenever you are able to serve the food on time and see the satisfied and happy faces of the patrons. 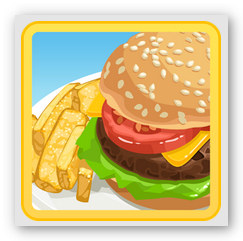 Another challenging yet interesting cooking game is Restaurant Story™ . You get to play it like you would on the real world when you enter the food industry, you start from scratch. From building and designing your own restaurant, café, bistro or whatever you want to call it, to creating your unique and top class menu from which the customers will choose from and get served with. Then you have to brilliantly manage your restaurant to make it grow and be successful.